Raising a child in today’s world is challenging for even the most conscious and loving parents. It is difficult to protect children from outside influences such as the onslaught of television images and Internet temptations. Once children learn to use electronic devices, these dynamics are difficult to control. Parents are perplexed how much to monitor social media exposure to their developing children who often lack discernment what is a beneficial and what is a dangerous influence. Complicating the co-parenting experience is the common confusion for two parents how to role model a secure functioning partnership as they guide a child’s choices, so the growing child feels secure and safe. Even what used to be natural – such as a simple frolic in the grass – can be challenging when it can have a devastating impact on the health of a child, such as Lyme disease, sun-damaged skin, or pesticides used on the lawn. Feeding children is no longer easy. A wise parent has to watch out for GMOs and chemicals in foods. Growing bodies have to be protected from radiation from cell phones and smart meters. The ability to protect our children from the simple pleasures of life can feel daunting. So how can you guide and and protect your children from life’s unexpected threats? The answer is by providing them with the basic building blocks of love, which creates secure emotional attachment for everyone. The neuroscience of secure attachment has developed over 20 years of research, and more than 2000 studies on child development. Carista Luminare explains how you can use the accumulated wisdom to guide the optimum development of your child’s well being throughout all stages of a child’s life. Children who experience the power of secure love are more apt to make wise and self-loving choices in their relationship to themselves and others, throughout their life. And if you had insecure bonding with their parents, it’s never too late to learn about secure attachment with a child or partner. CARISTA LUMINARE, PhD has 30 years experience as a consultant, counselor and coach to parents, individuals, executives, entrepreneurs, and organizations, bringing them into alignment with their highest virtues and their True Self. Since Felix the cat made its first appearance in 1919, children—and adults—the world over have been enamored with cartoons. Cartoon characters are the biggest stars in entertainment, today appearing in countless TV series, video games and movies. But if you think that cartoon characters have no use beyond entertainment, think again. Terry Thoren has spent decades studying the effects of animation on children. As CEO of CEO of Klasky Csupo, he was the executive in charge of production of 600 shows, overseeing the production of the Rugrats when it was Nickelodeon’s number one animated show, as well as the popular cartoons Rocket Power, The Wild Thornberrys, and the Emmy-nominated As Told by Ginger. Now parents and homeschoolers have the opportunity to utilize WonderGroveLearn’s cartoon characters at home too. TERRY THOREN spent 12 years as the CEO of the animation studio behind Nickolodeon’s world-famous Rugrats and The Wild Thornberrys, and several years as CEO of Teachtown, Inc., which provides education software and other solutions for children with special needs and autism. WonderGroveLearn™ is a unique education tool, which offers instructional animations, focused on social and emotional learning; life skills and social skills paired with extension lessons for children ages 3 to 8. In addition producing the education website and instructional animations for the “16 Habits of Mind.” Wonder Media produces instructional animation campaigns for large non-profit organizations: including Head Start, the Betty Ford Center Children’s Program, Girl Scouts USA, and the Barbara Sinatra Children’s Center to name just a few. Are Schools Preparing Our Children For The Real World? In today’s schools, our children have to be good at everything, but in the real world, they only have to be REALLY good at something. We have to change the message we giving to our children, and especially the ones diagnosed with” learning disorders” because when it’s time to get a job they have a hard time “selling” themselves because their education has focused so much on their weaknesses. Many of the symptoms of ADHD can be seen as the side effects of deep imagination. For example, one symptom is “easily distracted by irrelevant thoughts.” This is an important stage of creativity called incubation, where you do not directly try to solve a problem but allow space for inspiration to occur. The single most important factor in creating something new is imagination. All children have fantasies and those diagnosed with learning issues, like ADD and ADHD have lots of them. These can be a distraction, but can also give students the power to create a new world. We need to educate creative minds by valuing creative minds, encouraging rather than discouraging imagination. We need to remind kids and parents that studying leads to good grades, thinking leads to problem solution, and imagination leads to world changers. This week, Dr. Lara Honos-Webb offers some tools to translate symptoms into needs and explains how you can give your child permission to meet those needs. DR. LARA HONOS-WEBB is a worldwide ADD expert and offers ADD coaching. She is a clinical psychologist and author of The Gift of ADHD, The Gift of ADHD Activity Book, The Gift of Adult ADD, The ADHD Workbook for Teens and Listening to Depression: How Understanding Your Pain Can Heal Your Life. Today, she runs the The Innerlight Sanctuary, a healing arts center in California, where she and her team of certified practitioners composed of credentialed school teachers and counselors use The Inner Light Method, to help balance empathic and intuitive children and adults of all ages. They also help restructure learning environments to take into account the needs of energetically sensitive, empathic and intuitive children, believed to be 10-20% of children in schools today. Children are continuously bathed in an ocean of music and sound. Like the air in which it travels, it swirls unnoticed around them during the course of their day, they seem to carry it with them in their hearts as they play with their toys and their friends, and it’s a big part of what makes television interesting to them. But for many of them, music can be much more than just a friend; it can help them to awaken their unique brain structures, to coordinate their brain processing and to learn to study smarter, not harder. Over the past 40 years, as both a teacher and a parent, Professor Barbara Bullard has been interested in discovering methods by which students might learn faster and more efficiently. Inspired by the techniques of ‘superlearning,’ which demonstrated the widespread neuronal impact of certain musical compositions on enhancing memory or peak performance states, led her over the past two decades to recommend background music as a key element in the application of superlearning. Reports received since 1994 indicate that Metamusic embedded with beta Hemi- Sync® patterns may also help with other learning disabilities, specifically dyslexia and slow reading development, both of which have as an underlying cause a disparity of errors in timing between the two hemispheres. Professor Barbara Bullard has worked as a Professor of Speech Communications at Orange Coast College for over 48 years. In addition to winning numerous awards, she is the co-author of Com-munication from the Inside Out, with Kat Carroll, and Remembrance: Journey to Expanded Learning with Dr. Alex Bennett. Her work as a teacher and a parent raising two children with Attention Deficit Disorder led her to become very interested in music as a universal means by which her students and children could overcome their learning challenges, improve their learning abilities, and heighten their performance in the educational setting. This interest eventually lead to a collaboration with the Monroe Institute. marrying musical formats with the binaural technol-ogy of Hemi-Sync, now known as “Metamusic,” which has proven to be extraordinarily helpful for the normative student as well as those with a variety of learning challenges – specificallyy ADD, ADHD, and Dyslexia. It has become widely accepted that not all children learn alike. Some grasp information best by reading, while others learn better through listening or discovering concepts in a hands-on fashion. Longtime educator Mariaemma Willis says there are actually five aspects to a student’s learning style beyond the simple modes of visual, auditory, or kinesthetic. Their “learning style profile” takes into account a child’s talents, interests, preferred learning environment, and disposition, as well as the three more familiar modes. If you have or know a child who is struggling in school or has been labeled a “learning misfit”, join Sandie and guest Mariaemma Pellulo-Willis and discover the secret to helping them lose the labels and discover the joy of learning, simply by uncovering their individual learning style. Mariaemma Pelullo-Willis, M.S. is an education consultant and LearningSuccess™ Coach. 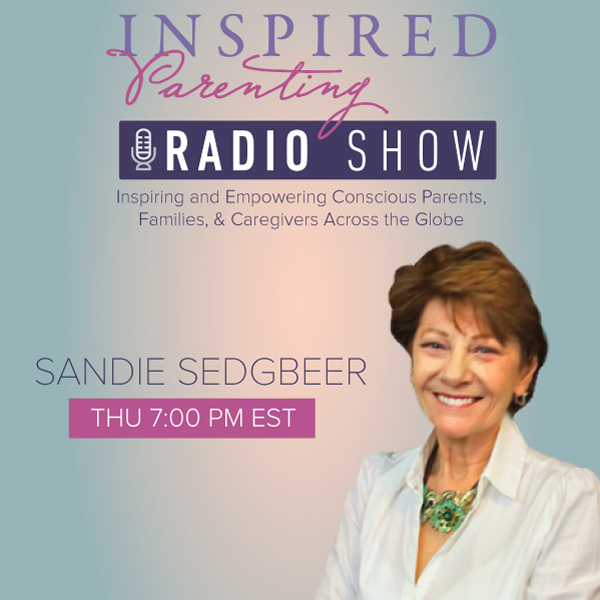 She is co-author of Discover Your Child’s Learning Style and Midlife Crisis Begins in Kindergarten and is co-founder of the LearningSuccess™ Institute where parents and teachers learn how to coach every child for learning success, and co-creator of Power of You Now! seminars for adults. Before going into private practice, Mariaemma was the director of a private learning center for children with learning disabilities. After 13 years of assessing and treating children and adults for learning “dysfunctions” she knew that she could no longer follow this erroneous and harmful model of education and began researching alternatives. For the last 25 plus years her passion has been helping children and their families understand and appreciate their natural gifts and abilities, and helping adults recuperate from negative school experiences which keep them from discovering their passions and potentials. She has spent spent more than twenty-five years teaching, conducting workshops and seminars for parents and teachers, and developing educational programs and materials. Every child is unique. That statement is so obvious that it’s almost ridiculous to say it. However, we usually speak about the uniqueness of our children by describing what they “do”—whether they’re good at sports or dancing, math or reading, etc. But according to this week’s guest, Connie Kaplan, there’s a great deal more to your child than what he or she does. This week, author Connie Kaplan will be sharing information that can help you understand the uniqueness of your child’s essence: his or her BEing-ness rather than his or her DOing-ness. In her revolutionary book, The Invisible Garment: 30 Spiritual Principles that Weave the Fabric of Human Life, Connie Kaplan makes the radical suggestion that each person “signs a life contract at the moment of birth,” which contains a specific group of spiritual principles (or influences), and that throughout our lives we “wear” these principles like an invisible undergarment that constantly informs, guides, and girds us. As a parent, says Kaplan, knowing your children’s spiritual garments gives you profound information, which can help you support their individuality and progress in life, ensuring that your parenting of each child becomes as individual as the child himself. She is the author of several books, including a spiritual parenting manual, two books on dreaming, and The Invisible Garment: 30 Spiritual Principles that Weave the Fabric of Human Life. Dr. Connie Kaplan started her adult life in television production. By 1985, she was married to a wonderful man, had a beautiful family, lived in a great neighborhood, and had built an enviable career. In 1986 she was struck with a mysterious virus which rendered her almost helpless for two years. During this time, unable to work and incapable of handling normal life, she experienced a profound spiritual transformation which altered her inner experience and her outer expression of life. What Does it Really Mean to be a Mother? We’ve all witnessed emotional “adoption reunions” on daytime TV. But we rarely see what happens when the cameras stop rolling. How do two people, related by blood, but separated by circumstance, cope with trying to bridge the gap and forge a relationship after years of separation, while also endeavoring to get past any pain, guilt, blame and suffering each had experienced along the way. Kimberly Smythe got pregnant at 16 and, certain that a married couple could do more for her beautiful little girl, than she could, gave her child up for adoption. 18 years later, Kim sought out her daughter, but sadly, their reunion was no fairytale. Letting Go Again is the title of Kim’s book, which chronicles her journey through Adoption, Reunion, Separation and Growth. It’s a searing account that raises important questions about motherhood, the damaging effects of adoption, and our definition of family. In so doing it also challenges our perceptions about relationships, acceptance, surrender, and the true nature of love that finds the strength to let go…again. Kimberly Smythe was born in Madrid, Spain. As a child, she moved home six times in eleven years. After living the nomadic life of an Air Force brat, she spent twenty-six years in Hawaii, which still holds a special place in her heart. She has four grown children, three of whom call her mom.